The heating system of any home is vital for keeping the home comfortable throughout much of the year. The heating system also keeps pipes from freezing and bursting during the winter. For both of these reasons, furnace maintenance is extremely important for keeping your heating system working reliably. No matter which type of heating you have in your home, it will occasionally require maintenance to keep it in good condition. It's also essential for making sure your heater is operating in a safe manner. When a furnace is checked, for instance, part of the heater maintenance is to make sure the safety controls are functioning properly and that there is no leak of carbon monoxide. Furnaces also require their filters to be cleaned or replaced periodically to keep them functioning effectively. The pilot assembly must be checked and adjusted as needed, and the gas piping should be checked to test for leaks. Moving parts should also be lubricated as a part of your regular heater maintenance services. When a boiler is in use for heating, it will also require routine maintenance to keep it in top working condition as well as to ensure the safety of its use. Getting regular heater maintenance services can prevent larger problems that can build up over time to create expensive and dangerous issues with your heater. Being left without heat during the winter is a situation that no homeowner wants. 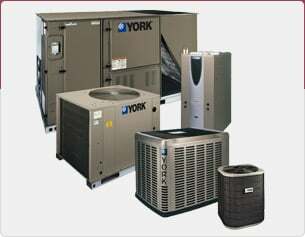 And if your heating system is working, it may seem as if it needs no attention at all. However, regular maintenance will keep it working longer, and it can prevent much more expensive work from being needed in the years to come. Stay warm all winter and in the coming winters by making sure your furnace is in good repair and is ready to last as long as possible. 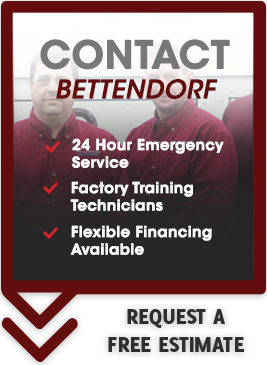 Get in touch with Bettendorf Heating and Air Conditioning today.